Purchased so I could see what all of the hype was about. 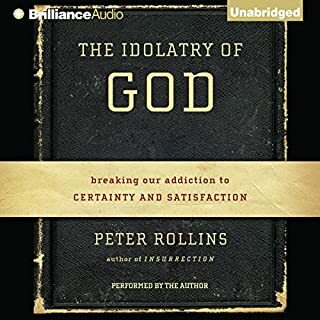 You have to simply choose between what the Bible plainly speaks of, or what Rob Bell has for your itching ears (2 Timthy 4:3). Indeed, we are living in the last days with many false teachers among us, too cowardly to stand on the Word of God. Title sums it up for me. Not one to write reviews usually, so forgive my 'briefness'. Rob's simple message is so logical and yet has changed my entire outlook on Christianity. Laid to rest many issues and problems I have held for years. Thank you Rob. Every Christian needs to read this! 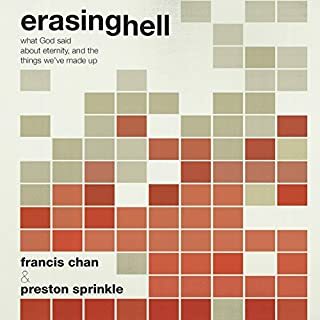 Every Christian, and every non-Christian or ex-Christian who's written off Christianity because of it's teachings about "eternal torment" and it's exclusivism (only a few saved), needs to read this book. 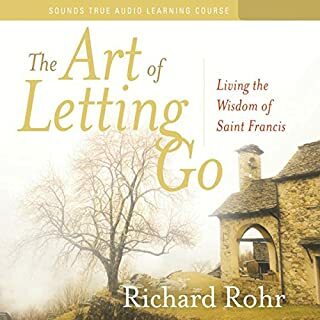 Incidentally, even though I say "read", I do think that listening to this audio presentation is a far superior experience to reading the text (which I've also done). 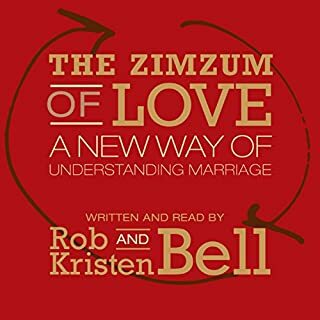 Rob has a great speaking voice, but for some reason he loves to write everything as if it's poetry, with various kinds of "pretty" formatting, which annoyed me to no end while reading the hardback book. I guess he was trying to be clever in his presentation, but he needn't have done that, his content speaks for itself. I've listened to some of his books and watched several of his videos. He always has something to say that's worth listening to, pondering and praying about even if I ultimately don't wholly agree. 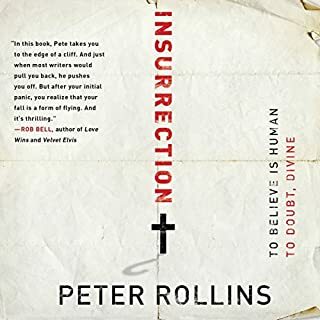 The problem I have with his books is that he seems to go out of his way to use antagonistic language that makes it hard for me to get past the anger and listen to the points he's trying to make. I found it sometimes better to pause the book and start again later after I'd had time to let emotion cool and ponder what it was he might really be trying to say. He also covers a lot of biblical ground in this book so unless you're willing to simply take his word for it be prepared to do your homework! Accurately representing the sourced material, primarily from the bible, but also not misrepresenting church history and history in general. 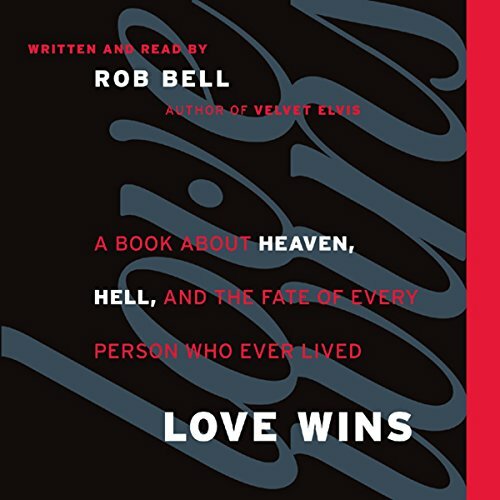 Would you ever listen to anything by Rob Bell again? Possibly. It's in his usual style, he's a smart person, but the quality of the sourcing in this book is very poor, so if I listened to anything from him again, it would be with an equally critical "ear" as this book. 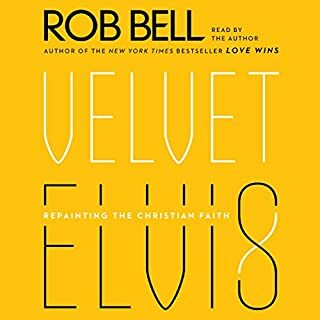 What aspect of Rob Bell’s performance would you have changed? He does fine with the reading, I find his white board talks engaging. My main thought here is that the way he likes to "cleverly" structure his sentences, which doesn't always add to his case/points, doesn't lend itself as well to listening as it would to reading. But that has more to do with the book than the "performance." 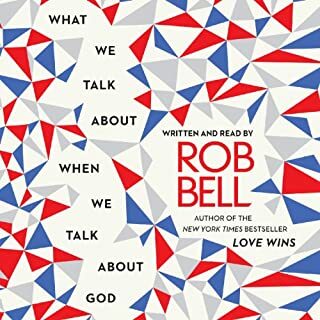 Andy Stanley put it well that we can hope that Rob Bell could be right on many of his points. But what disappointed me was the the way in which Bell used the bible. 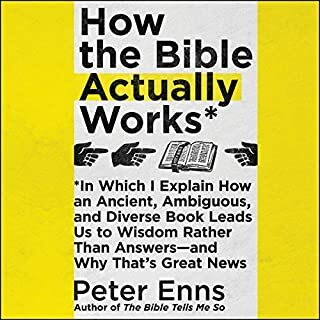 For the sake of argument, if we to ignore the eternal implications of the bible and what this book has to say about it, and simply look at the book's use of passages from the bible, I think it was almost entirely out of context and just a poorly executed book. Perhaps that was required to bend certain text to fit the case that Bell was trying to make. But just from a contextual point of view, if you were to look at the bible, it's passages, and you knew the bible cover to cover. Then you read a book that quoted it numerous times, but didn't do so in an honest way, you'd have a big problem with that. Say that we had two entirely different books here -- something other than the bible (call it the alternative "source" material), and another book (call it the alternative "commentary") was giving a perspective on that "source." The "source" could be any random historical count, biography, whatever the case. And the "commentary" went through the "source" and made certain claims and propositions based on the "source." But having known the "source" pretty well, as you're reading the "commentary" you're constantly thinking "hey, that sentence from the 'source' was meaning something totally different" or "that sentence was part of a much broader point, and doesn't mean what it sounds like when you look at just the sentence out of context." Those are the things that I thought from page one of Bell's book to the end. I just thought it was very poorly executed, and again, maybe couldn't have been executed better. So whether it is a random historical, ficitonal, (insert book here) -- I think there is an honest way to source from those books, in context, using the meaning of the sourced material, and this applies to any type of work. I think Love Wins failed at this in a major way. So even if you toss the implications from the book aside entirely, that was my main issue. Then if you bring into focus the implications, I think it only makes it worse. As mentioned in other reviews, the Gospel Coalition has some extensive coverage on this book that are worth reading. 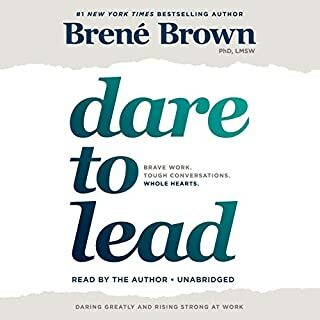 I read those after reading the book and having the above thoughts by the way, but they confirmed much of what threw red flags for me throughout this book, and even dives into thorough detail on that and much more. It's a little amusing that Bell mentions that it won't be a book about questions, but about answers. Then proceeds to ask hundreds of questions without really ever coming out and making a statement himself. 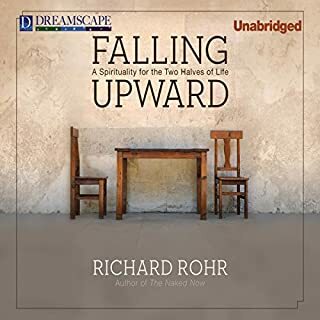 He never says universalism is it - he hints at that fact pretty heavily, but you get done reading and for me at least, on top of the poor quality, you also think what exactly was he trying to say? There's a lot of talking without ever really saying anything. 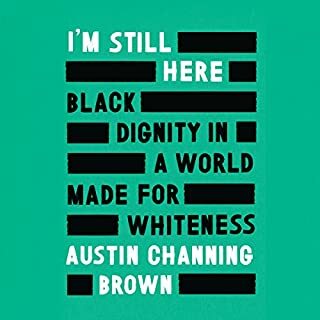 Where does Love Wins rank among all the audiobooks you’ve listened to so far? What was one of the most memorable moments of Love Wins? So many times during this reading, I found myself thinking "wow, that makes so much sense." At the very end when he brought all the concepts together and said "love wins." I would recommend this book to anyone, Christian or not, to challenge what you thought you knew about God and Jesus. 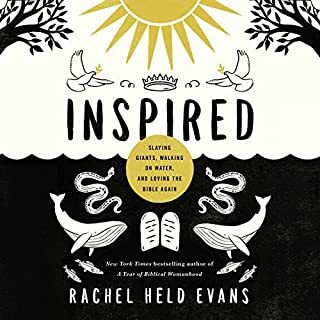 This short read brought me great insight to Jesus' message and where to place it in my faith. 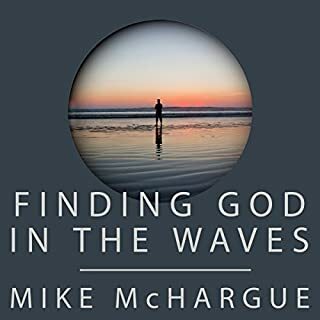 For anyone that has been exposed to organized Christian religion and turned away, this read brings you back to the essence of God's love and Christ's purpose in our lives. Rob asks good questions. I think this is a book of questions, a thought provoking one. Some of it's ideas are great, some are dangerous and need to be accepted only with prayer and study of the scriptures. 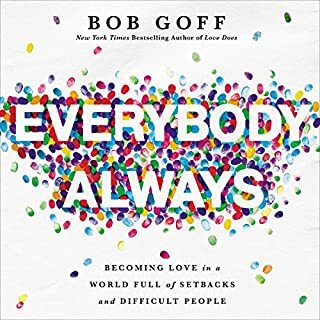 My advice, for every word you read in Love Wins, read ten from the Bible. If you don't have a daily time in the Word and a strong relationship with God, you might want to wait with this book. I was a little apprehensive to listen to the book because because of the great stir it caused, and I really don't understand that. It appears that hell is a sacred doctrine of some church people, but Paul the great Apostle of the Church never mentions it once. Jesus did and Bell explains this. If Hell is a sacred doctrine for you and you do not want it trifled with then do not read this book. But if you want to know some truth about the traditions you have been taught and want a clearer picture of who God is to clear up some misunderstandings, then get it and enjoy it. There is much freedom in knowing who God really is. pretty basic universalism, but in a very palatable way. Very weak when it comes to examinig the bible. Rob Bell is foremost a pastor. He speaks to people and for people about the fact that they are loved by God and by others even though it doesn't always seem that way. That is his job, and he does his job extremely well. 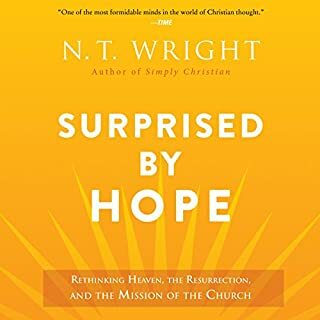 In my generation, he has been perhaps the foremost master of formulating ways to communicate the most complicated and gnarly theological and historical conundrums in a manner that the average listener will understand with both mind and heart. 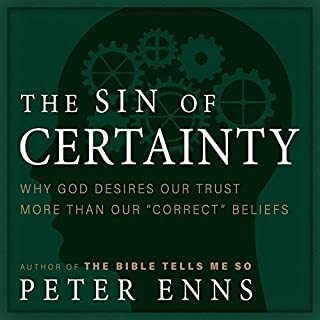 What distinguishes him from his peers in the circle of extremely rhetorically gifted speakers from the church is his honesty, his candor, and his willingness to address honestly, from scripture, rather than from tradition, the issues that are the stickiest. He has been relentless in both honesty, in faith, and in good works. Like I was saying though: he is a profound thinker but his message is best served 'spoken,' rather than read. Probably because that is the form that he has spent the most time mastering after years of teaching and speaking with his congregation. That's just my opinion. I'm really glad I listened to the audio book before reading the prose version. While I can feel the debates come up within my soul from my years of church attendance there is a freshness in Bell's approach to the most important subjects of all ages. Perhaps that is the point. These should not be the most important subjects. 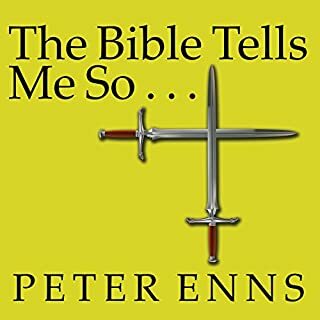 While a fast listen, in typical Bell fashion, the book is full of questions and possibilities. 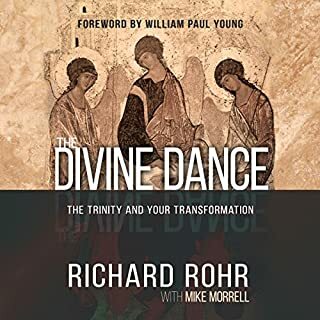 This book will not put an end to the resent controversy but perhaps the question of who God really is will come to the front of the discussion.